Each copper oak leaf pendant is handmade to order. Please allow one to two weeks for creation. 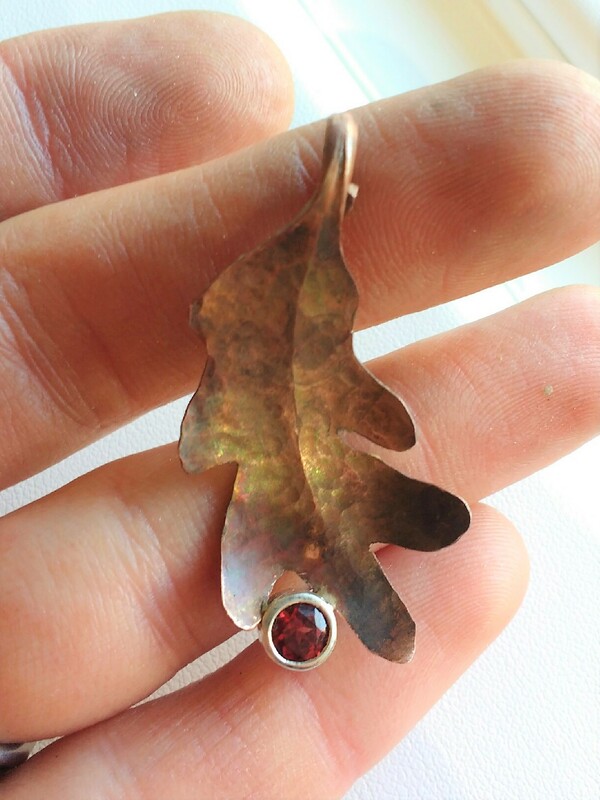 Each leaf is unique and will vary from the pendant pictured. Featured stone is a 5mm round. Choose from the stones available for no additional fee. Different stones may have an additional charge. Contact us for a quote.